Here are the gut issues of what makes type good or bad, legible or unreadable. Extensively illustrated with both typefaces and line drawings, this book belongs on the shelf of anyone interested in thehistory of letters or in the artistry and peculiar problems that lie behind their production. 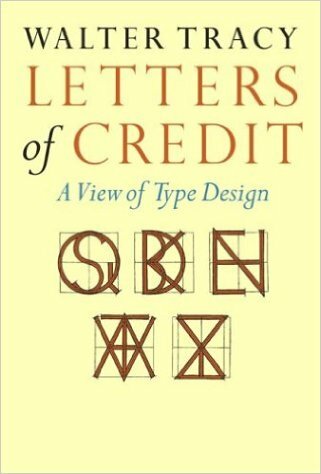 With fifty years of professional experience on both sides of the Atlantic (including thirty years as head of type design for the British Linotype Company), Tracy is in a unique position to make this argument and arrive at his sad conclusion: the design of distinguished, contemporary typefaces is far outnumbered by the mediocre and downright bad. Part of the reason for this deplorable deterioration is a lack of critical analysis of the particular esthetics involved. This step-by-step examination of type-design esthetics is precisely what Tracy provides here, while avoiding both the promoter's hype and the manufacturer's claims. Sách hay! Cảm ơn Ad nhiều!